One of the best alt-history books I've read! Take something in history that made a change in the world, and then change that event. Or, add a large impacting event to the world's history at a point previous to current time and extrapolate where the world might be based on the change. Plotlines and ideas like this, can be fascinating. If that is of any interest to you, I would highly recommend reading this book. When her mother and brother are murdered, young noblewoman Accala Viridius cries out for vengeance. But the empire is being torn apart by a galactic civil war, and her demands fall on deaf ears. Undeterred, Accala sacrifices privilege and status to train as a common gladiator. Mastering the one weapon available to her - a razor-sharp discus that always returns when thrown - she enters the deadly imperial games, the only arena where she can face her enemies. What would have made Wolf's Empire better? The plot would have been less shaky if the characters were less shallow. If you give the author the benefit of a doubt and presume that the main character acts and thinks the way she does because of her addiction or a weak willed person with ADD, then the main character is a creditable job. I spent the last 60% of the book frustrated and a bit mad that the main character could not seem to maintain her course or reasons for pursuing it more than a chapter or so. Between that and the way, during combat scenes most frequently, one action that followed another would have been physically or anatomically impossible to perform, I did not enjoy the book. 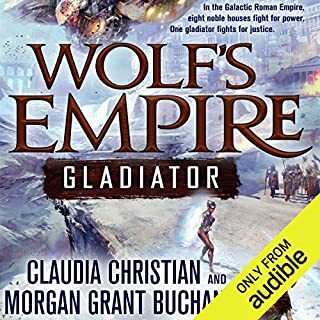 If Wolf's EmpireGladiator was a $2-4 audio book, these lapses would have been forgivable. As it stands, I plan on skipping any other books by this author that are not touted as being excellent by the masses. Claudia Christian's performance was quite good. Has Wolf's Empire turned you off from other books in this genre? No. There are many other books that go down the 'what if X had happened at Y point in time' that just one failure wouldn't cure me of my interest in it. What about Claudia Christian’s performance did you like? Her voice inflections gave a good solid break from one character to another so that I did not lose track of who was doing or saying what which sometimes plagues this format. I quite enjoyed the performance. If this book is ever on sale for less than $5 and you really like the Roman setting in sci-fi, you might give it a shot. Till such comes to be, I would pass on this book because I can think of at least 2 other series that are alt-history sci-fi or fantasy/sci-fi which are leagues beyond this work. This is just my opinion though. I loved this book. I want to throw water balloons at Mr Weber for the ending though. More of an edge of you seat closing than most oftheserious. I hope it doesn't take as long to write the next one. What made the experience of listening to The Sam Gunn Omnibus the most enjoyable? 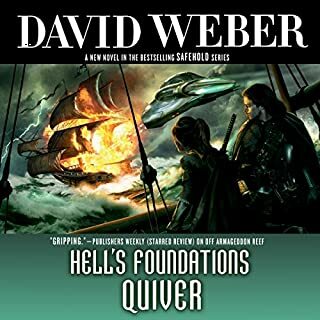 This omnibus was put together in such a way that makes it the single best collection of short stories I've ever read or listened to. Using the vehicle of a reporter who is trying to collect personal anecdotes was ingenious. With these stories happening in so many different locations and times, the method used to string the omnibus together as a cohesive whole was quite effective. Having so many different narrators really made each story come alive and gave an additional layer of believe-ability to the book. Using an outside agent to follow the focal character's antics helped me appreciate the larger than life nature of Sam Gunn more than if it had been told from his point of view. I've only listed to Stefan Rudnicki before and all of the narrators did quite well on this book. I had no complaints at all. We'll be first in this market. We'll make billions! The Sam Gunn character reminded me a lot of Miles Vorkosigan from Lois McMaster Bujold's Vorkosigan Saga. I think that due to the way these short stories are told and strung together, I appreciate Sam a bit more. 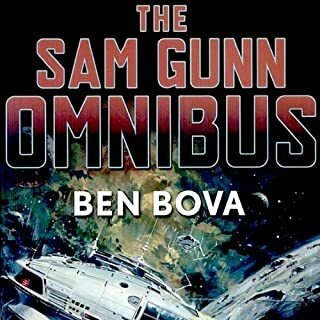 Even though the Sam Gunn omnibus is a collection of short stories instead of a massive arc of novels, it still read as an epic to me. This is one of my new favorite books. What disappointed you about Crystal Singer? 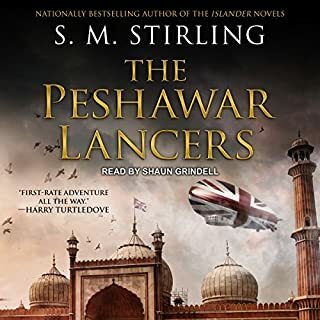 After listening to the second book "Killashandra" which does not suffer the poor audio quality of this or the third book "Crystal Line," the narrator was fine if fast paced. It's the really bad quality of the audio recording that makes this audio book somewhat unpleasant to listen to. While this is the abridged version, the choices made on what scenes or portions to drop affected the story minimally. I'm not a fan of the abridged formats, but this one was pretty well done. Killa of course. This character is a bit more developed than is usually the case with Anne McCaffrey's writing. As the protagonist, it's not too surprising that it's the case. What does Adrienne Barbeau bring to the story that you wouldn’t experience if you just read the book? Adrienne Barbeau reads with proper stress and emotion when called for. I heard none of the awkward emotive breaks between what is spoken and the content of the text that you sometimes get in audio books. What character would you cut from Crystal Singer? 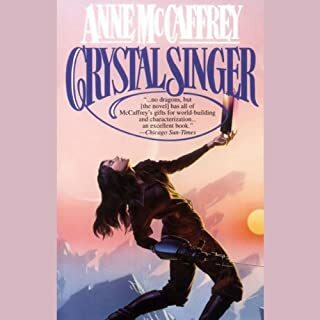 After listening to the second book "Killashandra" which does not suffer the poor audio quality of this or the first book "Crystal Singer," the narrator was fine if fast paced. It's the really bad quality of the audio recording that makes this audio book somewhat unpleasant to listen to. Some of the interesting back story was left out of this abridged version that had more of an impact on the story than I would prefer. Also, not having chapter breaks through the file to allow you to try and recover your place when the player continues playing when it was supposed to stop makes doing that a bit more annoying than normal. 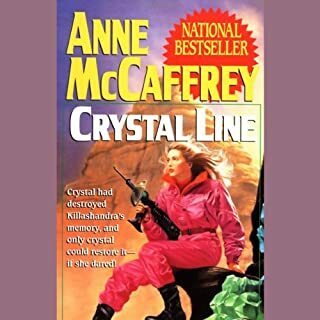 What other book might you compare Crystal Line to and why? To Ride Pegasus. I compare it to the Crystal Singer series because the plots are quite similar even if the mechanics and backstory are quite different. I would imagine that if you like the one, you'll like the other. I would put the overall rating of this audio book at a 4 instead of 2 if they'd re-release with a decent audio recording.